564 Yates Street was built circa 1861 as Nathaniel Moore’s Dry Goods store. It is currently occupied by Hughes Clothing Ltd. 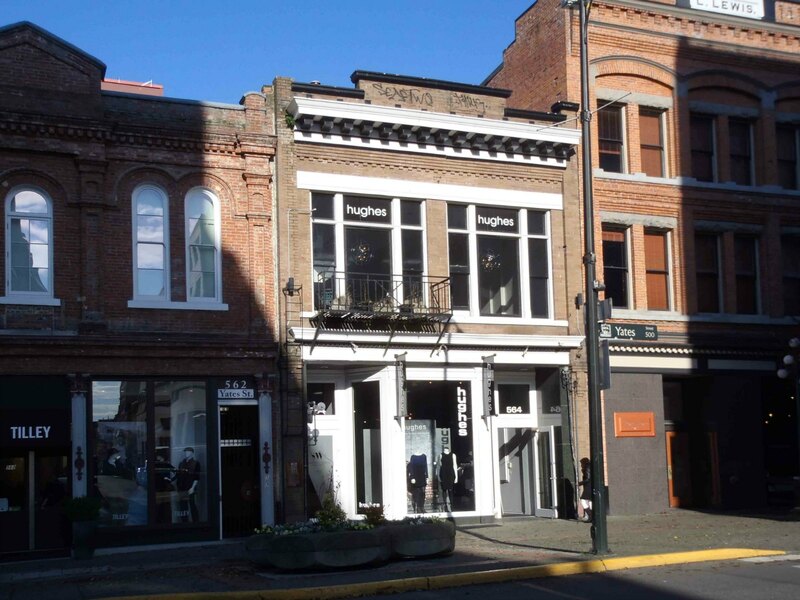 In 1909, architect Thomas Hooper renovated this building was renovated into the Majestic Theatre, the first movie theatre in downtown Victoria. The current facade is the result of a 1917 renovation under architect C. Elwood Watkins. In 1909, architect Thomas Hooper renovated this building into the Majestic Theatre, the first movie theatre in downtown Victoria. The current facade is the result of a 1917 renovation under architect C. Elwood Watkins.